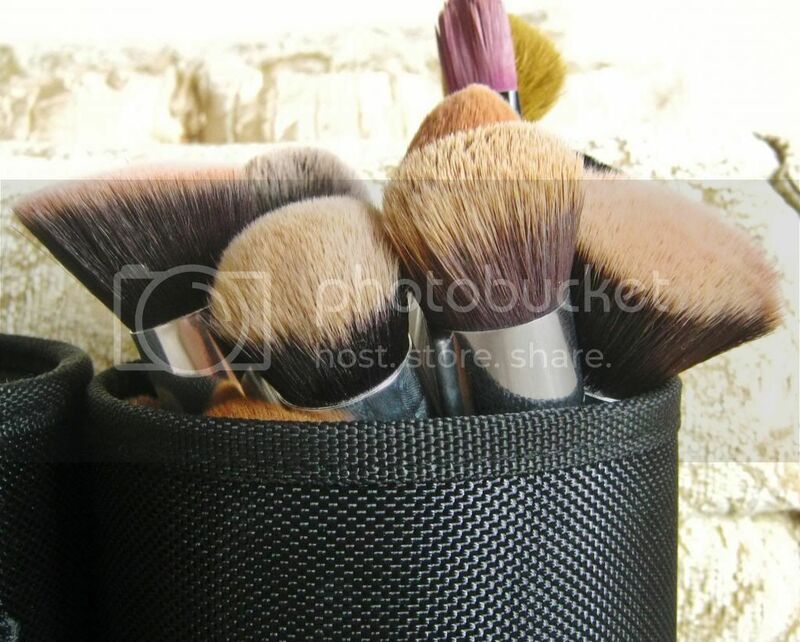 Makeup brushes are probably something that I will keep purchasing throughout my life. There are always new types, styles and brands launching and lets be honest it is a little tempting to go and purchase them (like all makeup)! So today is a review of some makeup brushes. 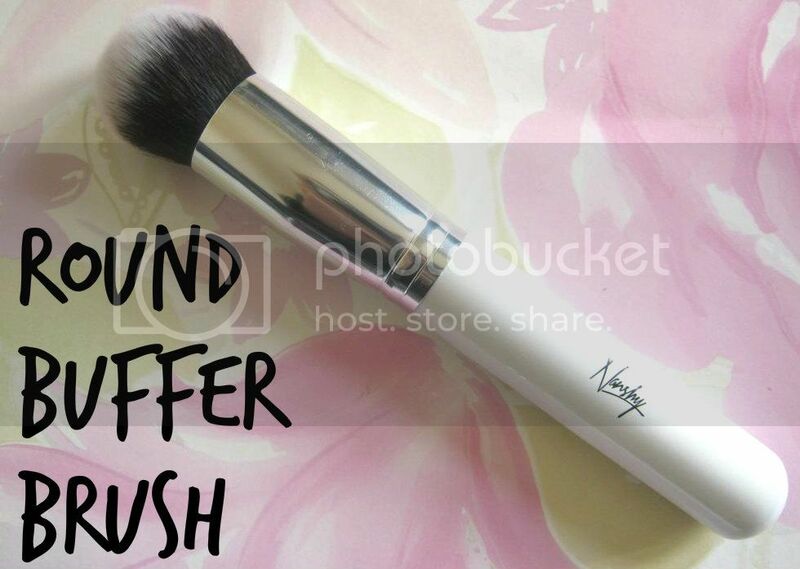 A few days ago I did a review on the Nanshy blending sponge which is lovely and today is another review of some products by Nanshy. 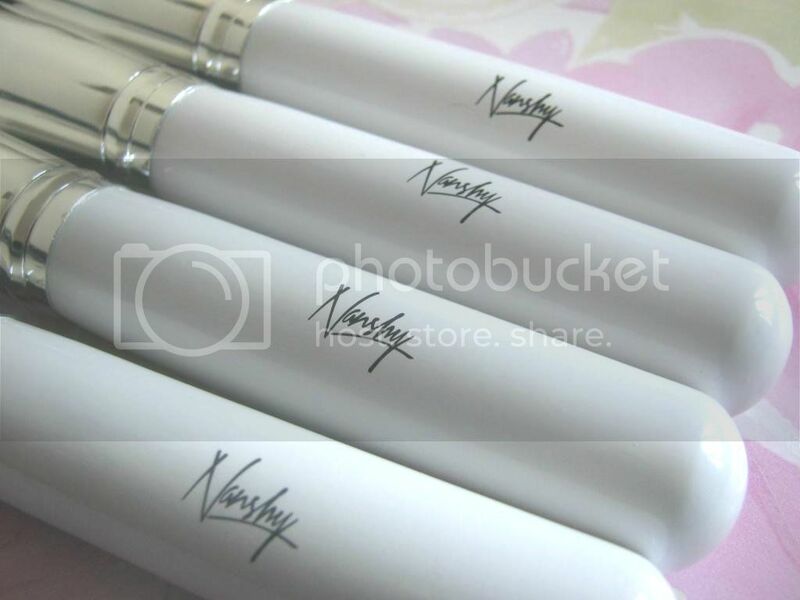 Nanshy is a fairly new company that specializes in makeup brushes and accessories. 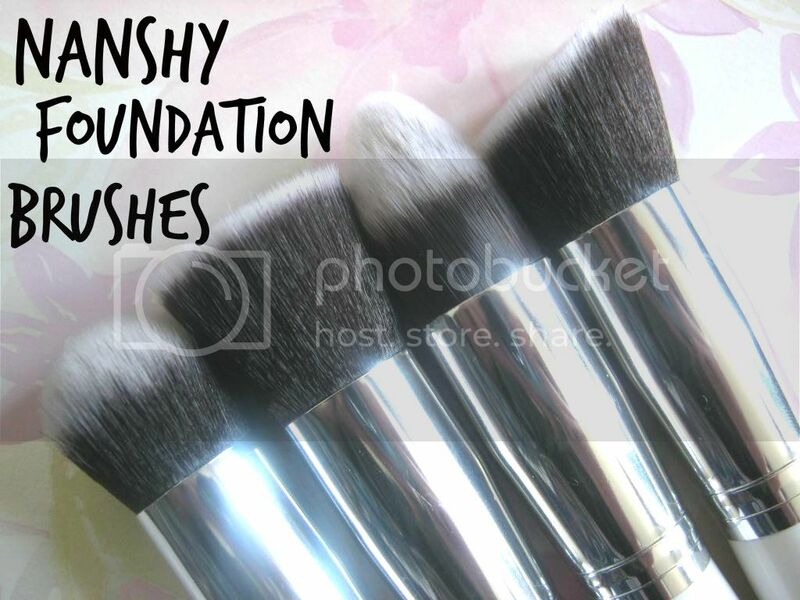 I have the Nanshy foundation brush set* that contains 4 synthetic brushes: a Round Buffer Brush, a Flat Angled Buffer Brush, a Flat Top Buffer Brush and a Pointed Foundation Brush, and a professional brush holder. Meet my new friend, the Nanshy round buffer brush. 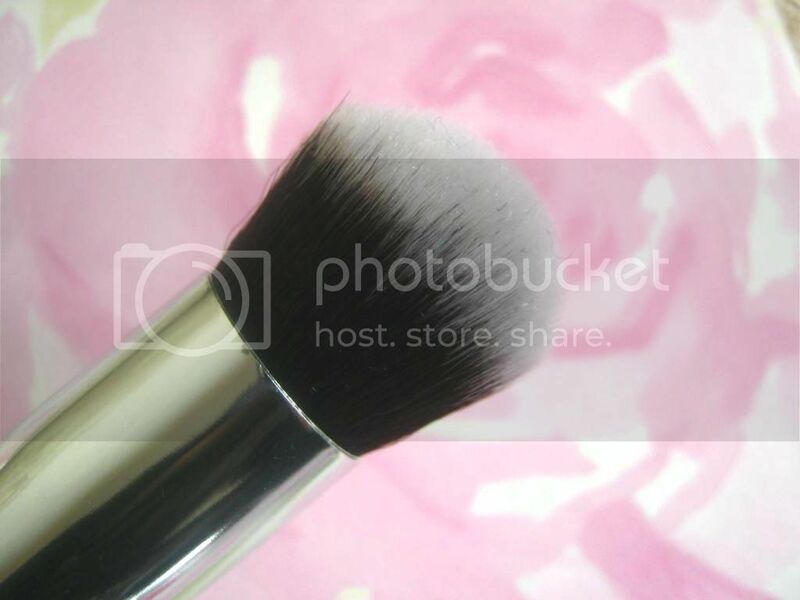 It's a round top brush that I use for liquid foundation, blending out contour lines and to apply cream blusher. This is quite a dense brush which is my favourite thing about it. 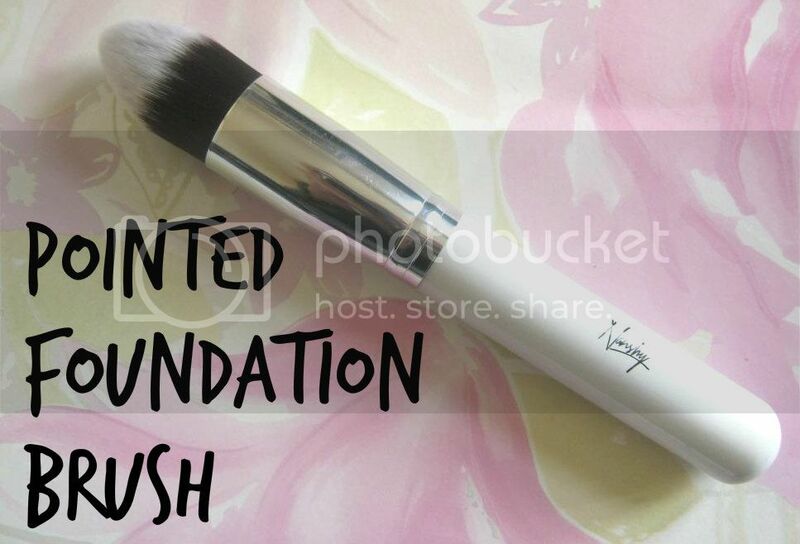 I like that you can use it for quite a few things and not just foundation. 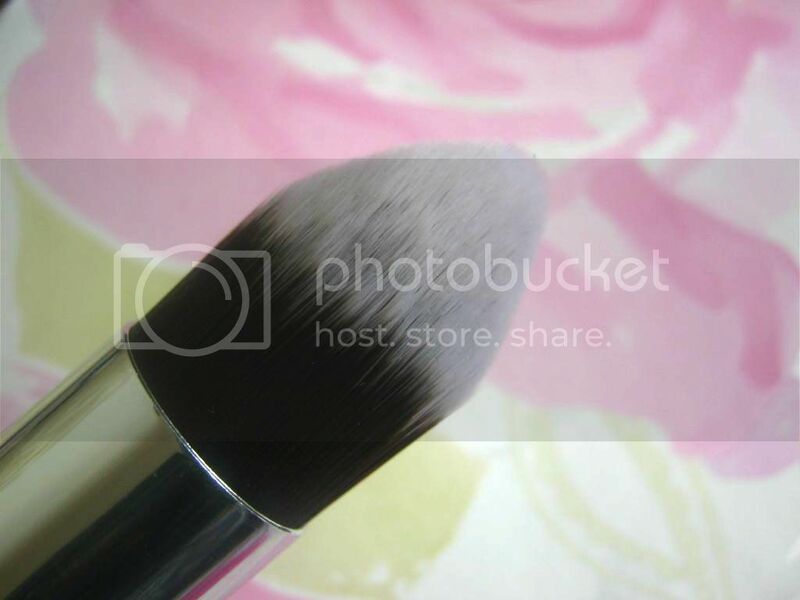 I really 'enjoy' using this brush for my foundation. It blends cream and liquid products in a lovely way without any streaks and lines and is very soft. 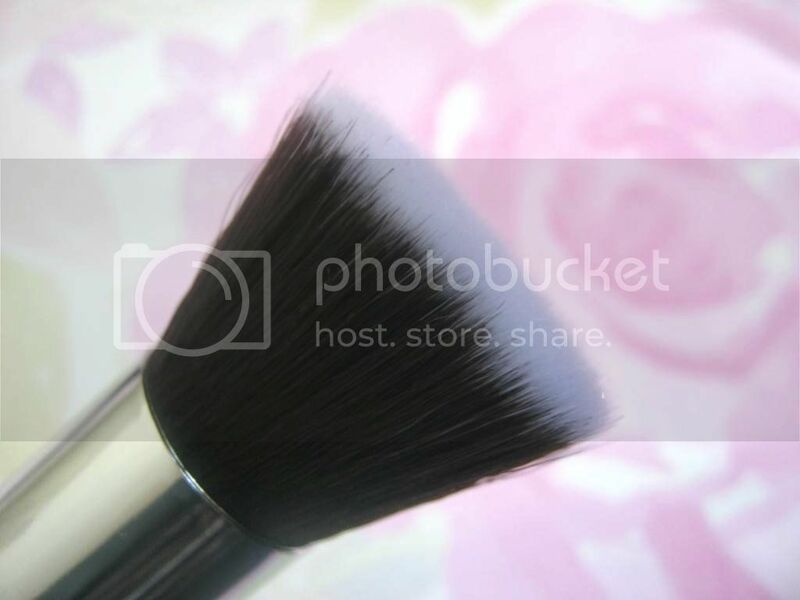 The flat angled buffer brush is also another favourite of mine. I have literally ditched my blush brush for this. 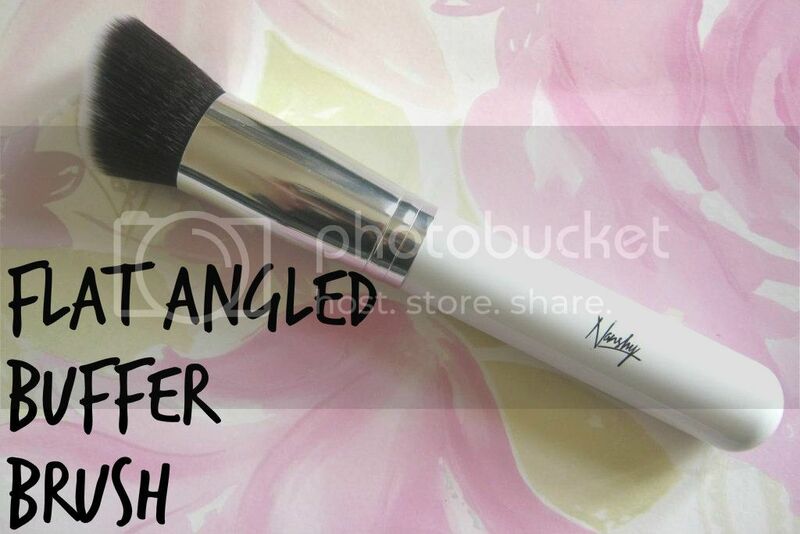 It's angled at a very good point and is really nice for bronzer and blush. I have a round face so it's taken me a while to figure out at what angle blusher suits me and this has made life easier. Because its flat and angled, I particularly enjoy using this for the duo blush and highlighter sets you get or the two toned blushers. You just sweep it in the pan and onto the cheeks and blend which it also does very nicely. Absolutely love this brush! 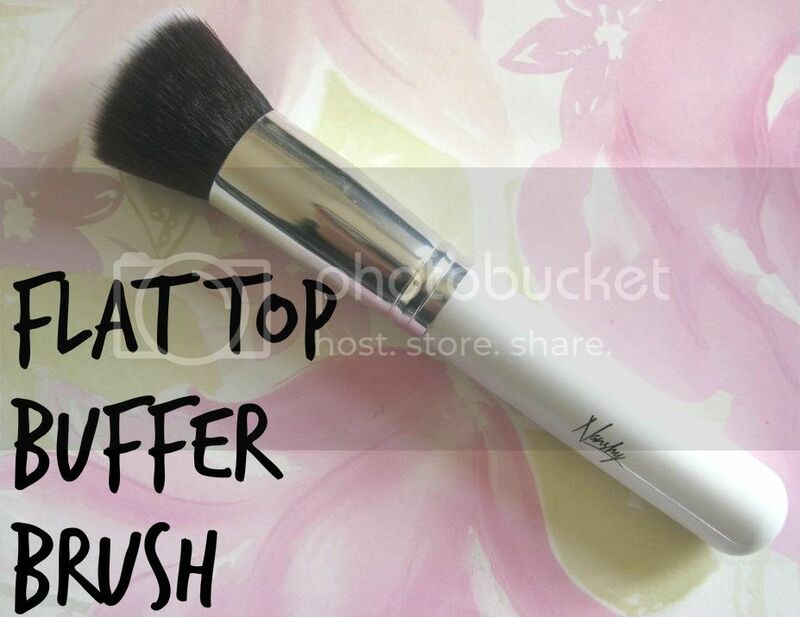 The flat top buffer brush is obviously flat and quite soft. I have to say I was a little disappointed with this particular brush from the set because I imagined this to be a little more dense as to what it is. I also think it's a little too long. I tried it foundation but I wasn't satisfied However, it applies powder really well. You now how powder can sometimes be cakey? Well it kinda 'uncakes' it. Is that a word? But the point is it evenly sets powder which is great. This brush did have very slight shedding before using it but afterwards it was fine. 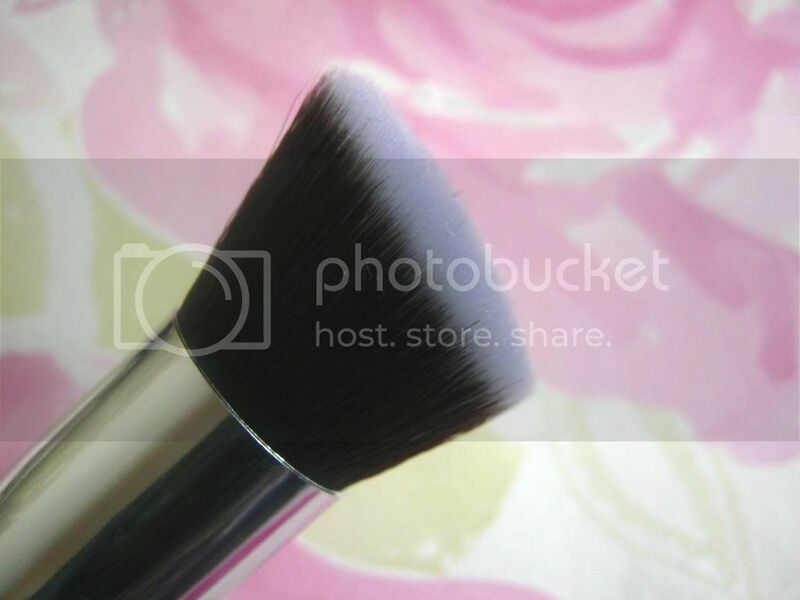 This is the last brush in the set and it's the pointed foundation brush which I like to use for liquid foundation and BB cream. It provides an even finish to areas such as under eye and around the nose. I love this for contour and highlight as well! It does that so well because of its tapered feature. I love the white handles of these brushes as well which is something a little different to the normal black handles. 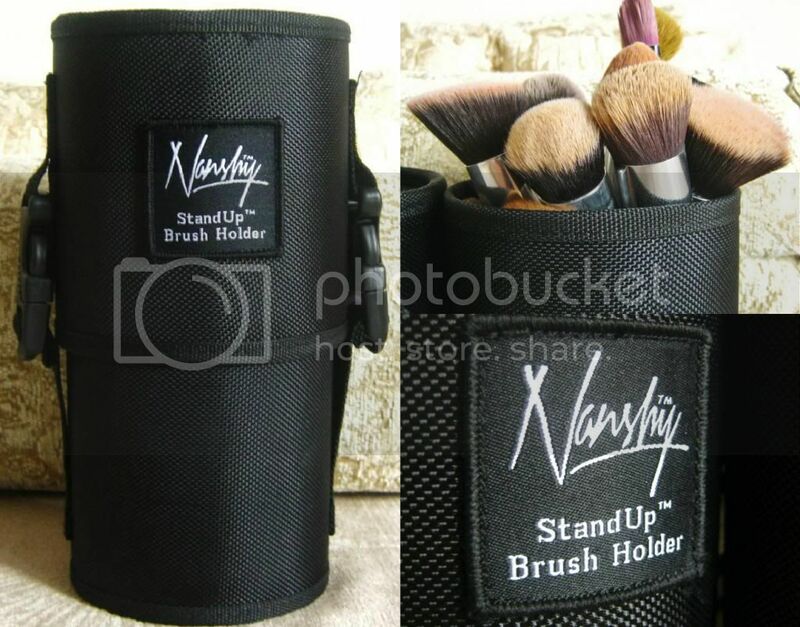 I also have a Nanshy brush holder (£19.95). I really like this as well. It's so sturdy and looks really professional as well. 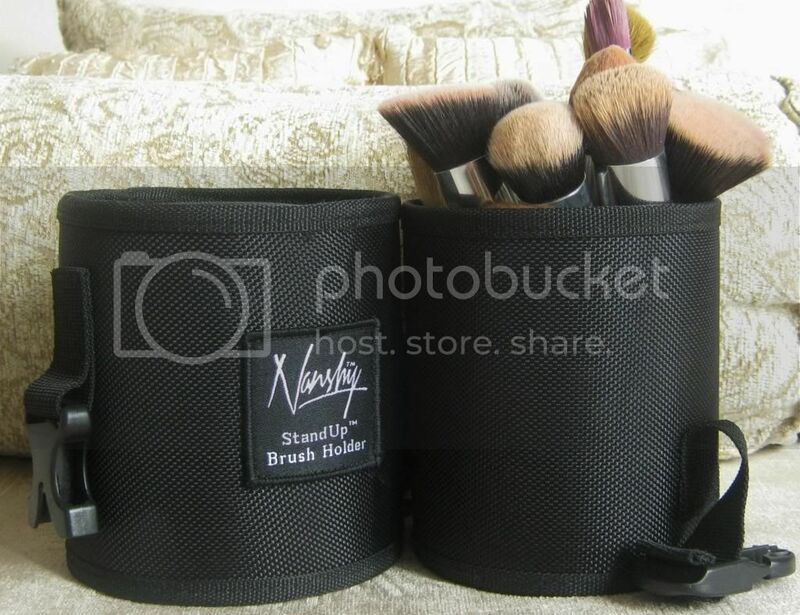 It holds all of my face brushes and is great for taking it away as well because you can also close it. The size is pretty good as well! You can buy the brushes separately as well but this set retails for £29.95 which is such a great price and a bargain if you ask me for four really lovely brushes! If you're a makeup beginner or just a makeup lover like me these will be great! You can purchase them from Amazon and Beauty Store 4 U.
I've never paid more than £4 for a single brush. XD But I really like the look of these! At first, I thought they were Sigma brushes! :) They look great...I'm liking the white handles. hahaha have I tempted you? !